I was recommended to seek Anita’s help by a friend with Nero’s over grooming. He had no problems before our older 16 year cat Hector had to be put to sleep 2.5 years ago. Nero was very attached to Hector and looked up to him like a companion, protector, parent and friend all rolled into one. When Hector was put to sleep we were very uset but didn’t realise the effect Hector’s passing had on Nero. Anita immediately realized the importance of this and asked us lot of questions and was very understading and non-judgmental. We felt we had let Nero down and needed help so we could help him with his anxiety and make him feel secure. I followed Anita’s advice and took Nero to our Vet, his blood was checked and skin biopsies were taken. He has no underlying medical condition. Anita gave us lots of practical help and ideas with toys, games and other helpful ideas so we could distract Nero and stop him from over grooming himself. We have made a lot of changes and I am glad to report that Nero isn’t grooming himself as much as he used to, and is much happier and playful. 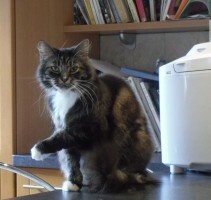 I would not hesitate in recommending Anita to anyone with cat related problems. 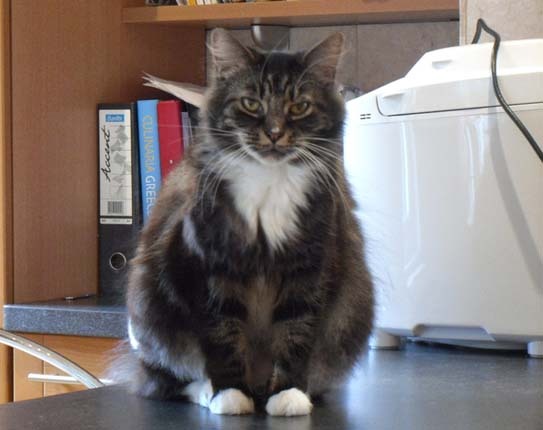 Anita has a clear understanding of cats and their needs and puts them above human needs. 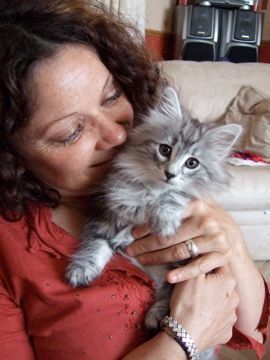 Cats do grieve and humans need specialist advice to help them with their cats during this difficult time.